Treason and espionage: a closer look at Russia's draft laws | Russian Legal Information Agency (RAPSI). Russia’s lower house, State Duma, took the first formal steps to pushing through a series of amendments aimed at expanding the scope of the Criminal Code articles at the heart of Russia’s national security legislation, those on high treason, espionage, and the disclosure of state secrets. Deputy Director and State Secretary of the Federal Security Service (FSB, successor organization of the KGB) Yuri Gorbunov encouraged the Duma to adopt the amendments due to Russia’s evolving national security needs. He urged the members of parliament to consider how much has changed in the decades that have passed since the articles were developed in their existing form, in light of both the domestic legal climate and the amelioration of foreign intelligence tactics. The Duma’s adoption of the amendments in the first reading was met by some with suspicion. The international media was replete over the weekend with headlines questioning the Russian government’s underlying intentions. Meanwhile two more readings lie ahead. In this context, RAPSI has taken a closer look at these draft amendments. A couple of the proposed revisions span two or more of the articles at issue, illustrating a more generalized shift in Russia’s national security stance. Most intriguing from an international standpoint is the inclusion of international organizations as among the sources whose illicit receipt of state secrets satisfies the elements of high treason or espionage, depending on whether such was at the hands of a Russian citizen or a foreign national. In their current forms, the espionage and high treason articles list only foreign states, foreign organizations, and the representatives of each as proscribed recipients. Speaking to this point at the Duma hearing last week, Gorbunov explained that international organizations, “are actively used as a cover and to independently conduct intelligence operations." The current text applies to information constituing a state secret as obtained either directly by a trustee or indirectly in the context of one's office or work. The amendments propose including the context of one's education to the list. The amendments seek also to alter slightly the language used in the articles on high treason and espionage to describe the danger posed by the information, aiming to broaden the focus of both from threats to the “external security of the Russian Federation,” to simply the “security of the Russian Federation.” According to Gorbunov, the former lacks a formal legal definition, whereas the latter is clearly defined. Thus the removal of “external” would remove the present threat of ambiguity. The article on treason targets Russian citizens that provide assistance in support of foreign interests, to the detriment of Russia’s interests. Under the proposed amendments, this article would undergo arguably the most dramatic facelift. In addition to the changes described above, the amendments would more clearly - and incidentally, more broadly - define the harm and action elements of the current article. In terms of harm, the current text merely prohibits the rendering of certain types of assistance if such would compromise Russia’s external security. The amendment would define this “security” as inclusive of Russia’s constitutional order, sovereignty, and territorial and state integrity. The combined effect of the removal of the “external” qualifier (as described in the previous section) from Russia’s security, and the more specific definition would significantly broaden the range of activities that could fall within the scope of high treason. Most notably, seemingly internal affairs could qualify as treasonous if all of the other elements were satisfied. In terms of action, the current text includes espionage, the disclosure of state secrets, and “any other” such assistance to proscribed recipients. The amendment retains the current language, including the “any other” catch-all, but adds financial support, the provision of material assistance, and consultation as specifically prohibited types of assistance. The amendments retain the current sentencing structure of 12 to 20 years. The article on espionage targets foreign nationals and stateless persons that collect, steal, or otherwise possess state secrets or other information detrimental to Russian interests for foreign intelligence purposes. The amendments won’t drastically impact the espionage article beyond the common provisions described above. While “external” would be deleted from the article’s reference to activities that threaten Russia’s security, the clause including constitutional order, sovereignty, and territorial and state integrity would not be added. Thus the focus would not be as actively internalized as it would be under the treason amendment. The only other notable change would be the broadening of the class of beneficiaries of the illicit information to include persons acting on behalf of foreign intelligence services, rather than retaining foreign intelligence services themselves as the exclusive beneficiaries. The amendments retain the current sentencing structure of 10 to 20 years. The article on the disclosure of state secrets currently targets individuals that disclose certain privileged information to “other persons.” The amendments aim to add a new section to the article targeting these “other persons,” the recipients of state secrets. 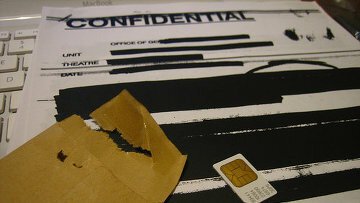 The proposed section would criminalize the receipt of state secrets by means of theft, deception, bribery, blackmail, coercion, or threats of violence, and would impose a sentence of imprisonment for up to four years, or a fine ranging between 200,000 and 500,000 rubles, or the convicted person’s salary for between one and three years. Aggravating circumstances would include the commission of the same by a group of people, or if such were carried out violently, with serious consequences, of by use of special devices intended for the collection of secret information. Receipt of state secrets under any of these aggravating circumstances would be punishable with three to eight years of imprisonment. The amendments passed by the Duma in the first reading last week do clearly expand the scope of applicability of all of the affected articles. Still, this national security bundles pales in comparison to some of its international counterparts. To this day, espionage and treason are capital crimes in a number of countries, including the United States, Iran, and the Gambia. The commission of certain acts of espionage and treason against the US carries a possible death sentence, although according to advocacy group Death Penalty Information Center, no one is currently on death row in the US for either of these crimes. Even the most infamous spies convicted in recent decades have been spared capital punishment. For instance Aldrich Ames, a nearly 30-year veteran of the Central Intelligence Agency (CIA), was arrested in 1994 on conspiracy charges. He had spent the previous nine years providing information to Soviet (and then Russian) intelligence officers which was as deeply detrimental to the US as it was valuable to their Cold War rivals. According to a declassified Department of Justice report, “Ames provided information to the KGB that led to the compromise and execution of at least ten CIA and FBI intelligence sources. Assessments following Ames’ arrest have indicated that Ames’ betrayal will continue to have a negative effect on [US] intelligence efforts for years to come.” He pleaded guilty and was sentenced to life imprisonment. The draconian sentencing option is apparently more active in Iran, where an American was sentenced to death just this past January after he was convicted of spying for the CIA, according to a New York Times report. The conviction of former US Marine Amir Mirzaei Hekmati was reportedly overturned by Iran’s Supreme Court in March, however, and a retrial was ordered based on shortcomings in the initial proceedings. In the Gambia just last month three individuals convicted of treason were executed on the order of President Yahya Jammeh, according to American University law professor Andrew Novak, writing for AfricaLaw. He added that there are currently at least eight other individuals on death row in the country for treason alone. So in the grand scheme of things, even in light of the proposed amendments, Russia’s national security laws remain relatively liberal.